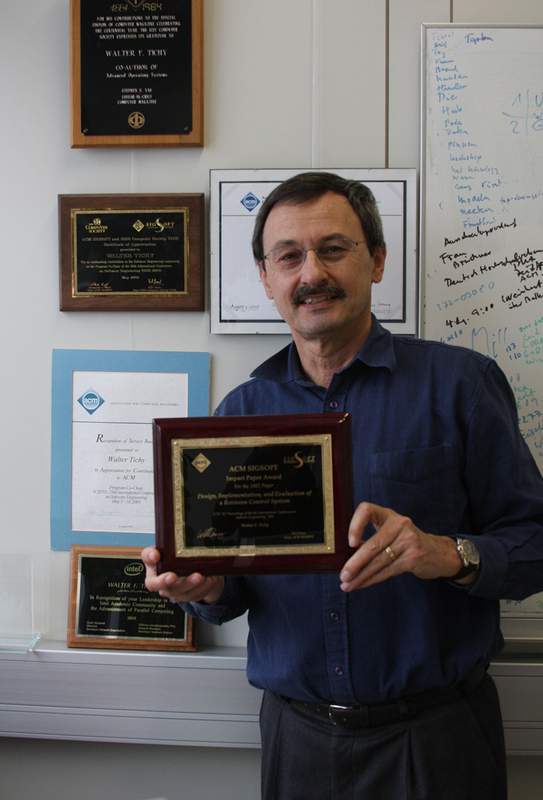 Prof. Walter Tichy receives the ACM SIGSOFT Impact Award for his article "Design, Implementation, and Evaluation of the Revision Control System". The Association for Computing Machinery (ACM) bestows this award every year for a publication that has demonstrated major impact. The publication must have appeared at one of the SITSOFT conferences and must be at least 10 years old, in order to assess its impact. The award for Walter's 1982 article underscores the importance of his article for Software Engineering to this day.